#Patriots inactives: RBs Foster and Gaffney, LB Van Noy, DT Hamilton, OT Waddle, CB Cyrus Jones, WR Mitchell. Inactives for #Patriots : Tyler Gaffney, Kyle Van Noy, Woodrow Hamilton, DJ Foster, LaAdrian Waddle, Cyrus Jones, Malcolm Mitchell. LeSean McCoy is inactive for #Bills . Patriots catch a huge break there. #Patriots coach Bill Belichick pregame: "Always tough to play up here in Buffalo ... We’ll need a solid effort in all three phases." 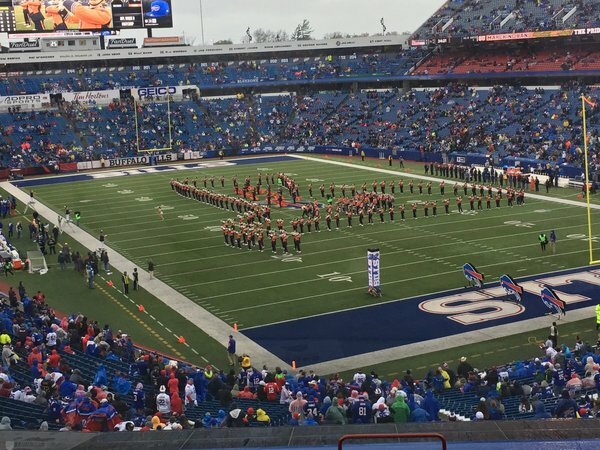 Belichick on Bills fans on 98.5: "They greet you from about a mile away from the stadium all the way in. It’s not a warm greeting." 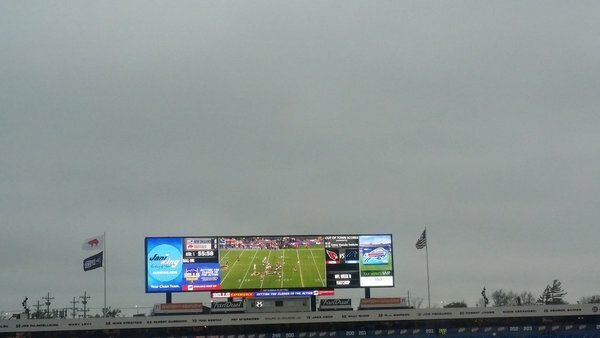 The forecast in Orchard Park today. 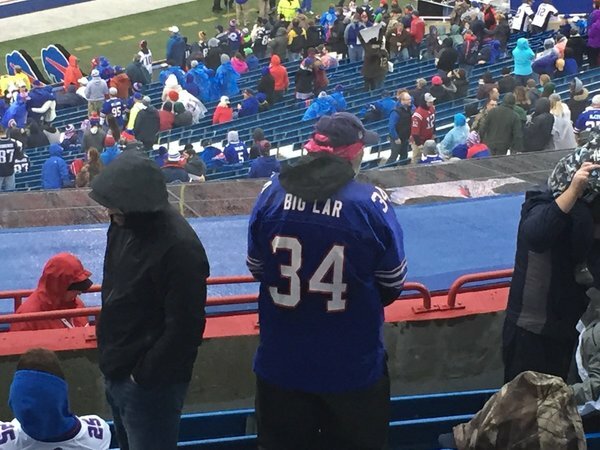 Pregame scenes in Orchard Park. Jonathan Kraft is on the field for his Patriots pre-game radio interview. "It's a light drizzle. ... 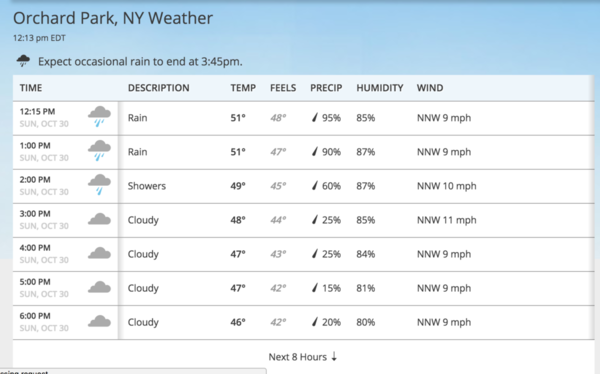 It's good Tom Brady weather." Jonathan Kraft on my column today that the NFL isn't marketing its young stars enough: "I think that’s a fair criticism." OK! Now on #Patriots Snapchat: inside the locker room, player arrivals & warm-ups. #Patriots win toss to snap Bills' 10-game streak. They defer. #Bills just lost a coin toss for the first time in 11 games. Odds of 10 in a row - which they hit - were about 1/1000.